Last weekend, a new Rubik's cube world champion was crowned in Bangkok. 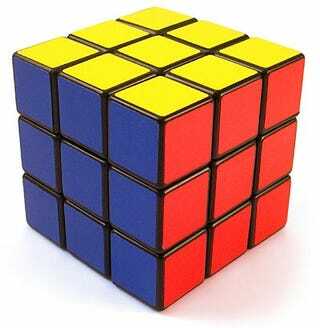 Polish speedcuber Michal Pleskowicz won the event by completing a Rubik's Cube in 8.65 seconds, almost a second faster than the first runner-up, American Rowe Hessler, who clocked in at 9.56 seconds. Good gravy. That is some fast 'cubing. The event was held at the Baiyoke Sky Hotel in Bangkok, and hosted over 350 competitors from over 40 countries. The championship took place over a number of different events with a number of different cubes, with timed events, number of moves, and more. The full list of events can be found on the championship webpage. I'm surprised that there wasn't a category for solving Rubik's cubes one-handed while playing Guitar Hero. I bet these guys could hack it. And while we're talking Rubik's Cubes, check out this video of Yumu Tabuchi solving 5 Rubik's Cubes in 1:52.